The multimeter is a device that has many uses, but it’s frequently used to check the voltage of various automotive parts. It can be used to diagnose malfunctioning parts and offers very accurate readings. A multimeter is ideal for reading amps, volts, and ohms, so it’s perfect for reading a wide range of electrical values. It’s also a handy tool for hobbyists who are into electronics, robotics, or HAM radio. In fact, without a multimeter there isn’t much an electrician can do safely. Professional electricians insist on the functionality and affordability of the multimeter. They also consider the portability and safety of the tool. These features make up the best multimeters. You can consider these features if you want to get the value of your money. If you’re looking for the best multimeter, we’ve selected the top 7 best multimeters to buy on the market, so you can choose the model that fits your individual needs. The Crenova MS8233D is a handheld and battery multimeter that is perfect for multiple functions. The design of this tool capitalizes on functionality and the user’s safety. It meets IEC61010-1 and CAT II 600v over voltage category and is double insulated. You can use it to measure circuit breaker and distribution boards. It also proves effective for measuring industrial equipment found in fixed facilities such as fixed motors. The uses of the Crenova multimeter include measuring DC current, AC current, resistance and frequency. A 31/2 digit LCD display with backlight allows you to see reading clearly. This multimeter is portable for use in various settings. An auto power-off function further makes this tool adaptable to every task. It is provided with a manual and everyone may understand how to use it. The 3320 was designed to accurately and conveniently diagnose a wide variety of electrical problems in the home as well as automotive. The 3320 is an auto ranging digital multimeter which means you do not have to select the range. The only thing you have to be sure is to have the multimeter on the correct function. Like almost every multimeter, the Innova 3320 will measure AC/DC voltage, AC/DC current, resistance, has a diode checker function, and an audible continuity checker. The Innova 3320 has a high input resistance of 10 M ohm which makes it safe to connect to sensitive electronic equipment. Buying this item you also get instructions for English, Spanish, and French users. This product comes with a one year warranty. This model is accurate for measuring current and resistance since the circuit board uses prime spec electrical elements. The Mastech MS8268 is a great product if you’re looking for a cheap digital multimeter. It uses an audible sound to let you know when the banana jacks aren’t being used with the correct setting. To provide better flexibility, the Mastech MS8268 lets you choose between manual and auto ranging. If the need arises, it allows you to reset certain ranges, and to preserve battery life, it has a built-in auto-shutoff feature. Despite its low price, this particular multimeter doesn’t feel cheap. A pair of ergonomic grips makes it easier to hold and prevent accidental drops. This meter powers on three AAA batteries. Accessories include test leads & user manual. It is a good cheap multimeter you will be satisfied with. DMiotech Digital Multimeter Battery Tester is designed to safely and accurately troubleshoot a variety of automotive and household electrical problems. This one has all of the basic features that you would want like AC/DC current, voltage, and continuity readings. But it also introduces a very important feature – the LCD can be lit by sound, without requiring the user to touch anything. The Smart-V automatically senses a lack of illumination and will automatically activate sound control without you having to fidget around. It has a double-insulated body structure and a pair of CAT3 1000V 20A Yellow Probes, which ensure long service life in the hands of beginners and professionals. DMiotech Smart-B Digital Multimeter comes with a one-year warranty and lifetime support guarantee. Etekcity’s Digital Clamp Multimeter makes household electricity maintenance safe and simple. While having the capability to test AC/DC voltage, resistance, continuity and diodes, the built-in clamp enables you to measure AC current without needing to break circuits to come into direct hazardous contact. With a capacity of 400amps, the clip can comfortably extend to test cords and wires up to 28 mm in diameter. The multimeter also includes safely insulated test probes with plastic gripping for safer handling while measuring. This device is the perfect startup multimeter for entry-level electricians, hobbyists, and general household uses. It has a large easy to read LCD display, a data hold and maximum reading indicator. It comes with a carrying pouch for portability. 15 minutes of inactivity leads to automatic sleep mode hence saving power. With a max capacity of 600V and auto ranging convenience, the MSR-C600 has the power to get the job done faster, safer, and easier. The AstroAI AM33D Multimeter is designed to safely and accurately troubleshoot a variety of automotive and household electrical problems. 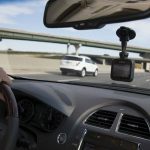 It’s easy and safe to operate and features many different functions for measuring current, voltage, and resistance, as well as continuity, transistor, and diode testing, which are both for automotive and household uses. The grip of the multimeter is around the edge of the entire multimeter and a kickstand on the back so you don’t have to be holding the entire time when you want to use it. It can also be used to diagnose, assemble, and repair circuitry and wiring. Other features include a low battery indicator, continuity buzzer, and overload protection. This item has a feature of data hold and a large digital display with backlit LCD for visibility in dimly light areas. This item is without a doubt one of the best multimeters available on the market. The Fluke 115 has simple operation and a compact design making it perfect for electronic test and general purpose electrical requirements. 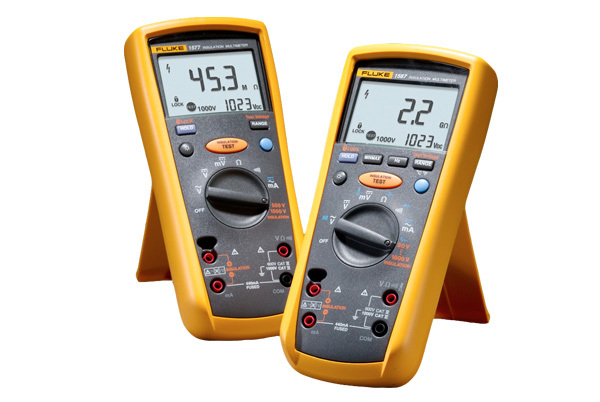 This multimeter is designed with quality features that experienced electricians will like. This multimeter comes with a large LED display featuring backlight to offer you sufficient lighting when working in the dark. You will find it easy to view readings, thanks to the large display. A maximum voltage of AC/DC 600v makes this multimeter ideal for checking frequency, continuity, capacitance and resistance. The multimeter features 20A overload and 10A current measurement with 30 sec momentary. Hence, your safety is guaranteed. The True-RMS feature is especially great for increasing accuracy when measuring non-linear loads. Since the Fluke 115 is CAT III 600 V safety rated, you don’t have to worry about accidental shock. This device is an excellent product that has plenty of positive reviews. We certainly recommend buying this item. A multimeter is an essential device if you often deal with electronics. This tool is also useful for those who occasionally deal with electronic gadgets at home. Regardless, of the purpose, you require a safe and reliable multimeter that will come in handy when you have an emergency. The purpose of this electronic device is to measure the flow of electrical current across multiple terminals. Depending on the specific features of your model, it can even be used to measure the voltage flowing through many different electrical components. Although it might seem complex, a multimeter is actually very easy to use. In most situations, you’ll need to attach the meter’s positive and negative test wires to the terminals on the electrical component that you wish to test. A multimeter is a must have in any electrical application, and as an electrician, you cannot afford to miss this in your toolbox. Digital multimeters show you important information like current, voltage, and resistance. If you get the right multimeter, your task will be efficient, simpler and enjoyable. This device will help to find any electronic fault quickly.